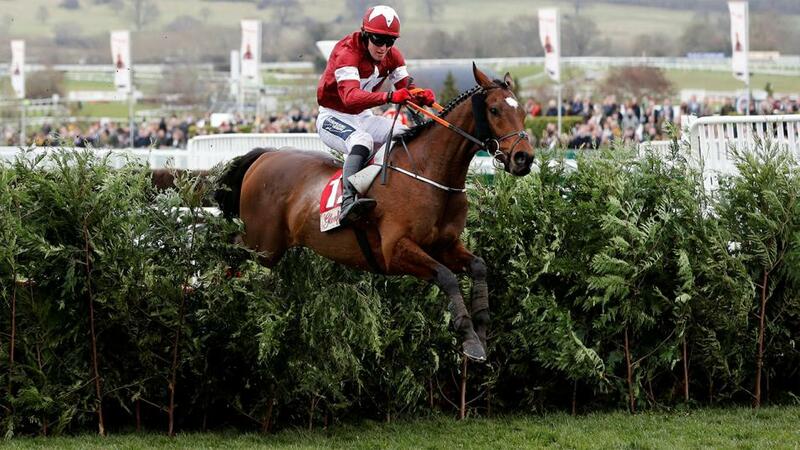 Timeform's free Shortlist comes from Aintree's Grand National Festival on Saturday. "...has looked a natural over fences and remains one to keep on the right side after his ready success at Newbury..."
Debece has been absent since finishing a close-up third in the Grade 1 Sefton Novices' Hurdle at this meeting a year ago, but that well-being worry aside, the handicapper has given him a major chance if he can return at that level. Dream Berry caught the eye in the Martin Pipe on his reappearance and could easily be the gamble of the race given his connections, with Mr Big Shot also of interest. Black Op was no match for the mighty Samcro in the Ballymore at the Festival, but he stuck to his task very well (beating the rest comfortably) and a similar performance will make him very hard to beat. On The Blind Side is also a smashing prospect, and he arrives here fresh so has to be respected, while Momella and Chosen Path could surprise a few. Petit Mouchoir went off too hard when fading into third in the Arkle and is well worth another chance to show he can fully transfer his high-class hurdle form to fences. Lady Buttons has made a very positive start to her chase career and could be the one to follow Henry de Bromhead's charge home ahead of Diego du Charmil. Thomas Patrick has looked a natural over fences and remains one to keep on the right side after his ready success at Newbury. Fellow novices Rocklander and Ibis du Rheu both ran well in the Close Brothers handicap at the Cheltenham Festival last month and they head the dangers. Not enough use was made of Sam Spinner's stamina in the Stayers' at Cheltenham last month and he could be hard to reel in if given a more aggressive ride here. Wholestone was in front of the selection at Cheltenham and looks sure to give another good account. Lil Rockerfeller may prove best of the remainder. The Cheltenham Gold Cup form looks key, with both Total Recall and Anibale Fly looking well-in on their efforts. Total Recall would likely have made the frame but for falling 3 out and has more to offer for Willie Mullins, who won this in 2005. He can land the spoils. Gold Cup third Anibale Fly should also come into his own over this longer trip. Shantou Flyer looks set for a big run as well. Plenty of unexposed types who are open to improvement, and Michael's Mount and Scheu Time could be the pair to focus on, with the former narrowly preferred. Not That Fuisse can also improve on handicap debut following a 3-month break.